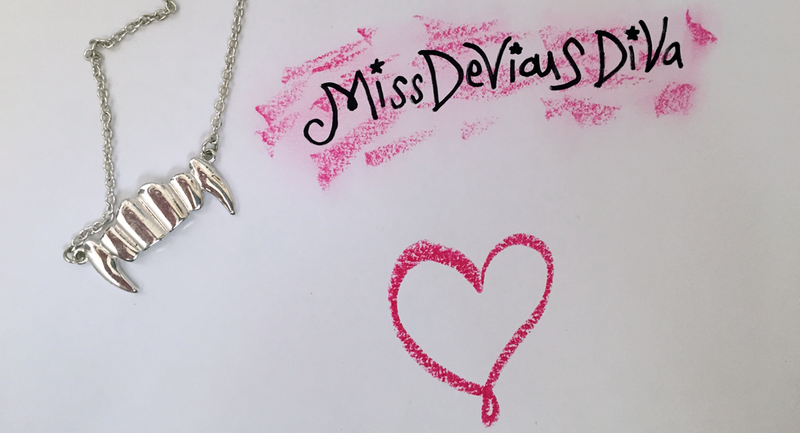 Miss DeVious DiVa: LDTTWC - Day 4: Lights, Camera, Action! Hey guys! Look who's got her Let's Do The Time Warp Challenge post ready to go already? Yup, me! 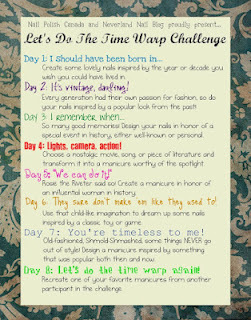 Today is Day 4: Lights, Camera, Action! My earliness is probably due to the fact I knew from the day this challenge was announced what nostalgic movie I wanted to turn into a manicure: The Three Stooges. I got into The Three Stooges last year when I found the Antenna TV channel. Part of the appeal to me is I love the 30's and 40's and sometimes I just like looking at what the women are wearing. Don't get me wrong, I love the Stooges themselves too, and Curly is my favorite, but I love how people dressed back then. 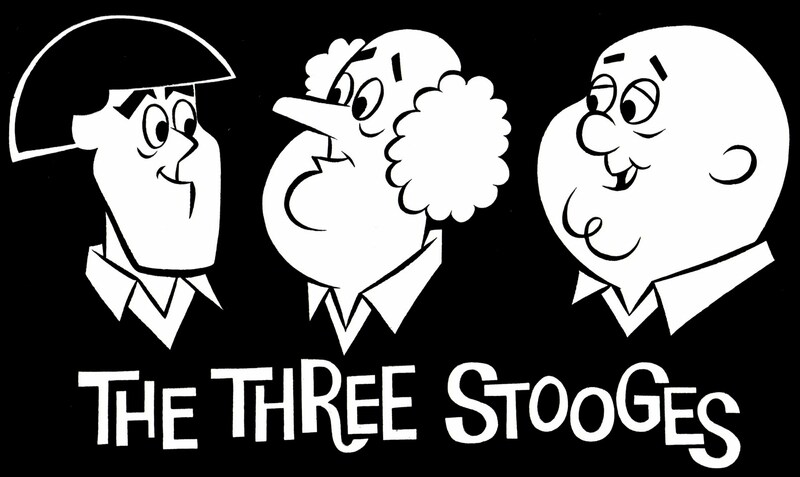 I based my design off an image from a Three Stooges cartoon I found on Google. I'm not even gonna front, I did this using the plastic bag DIY polish strips method. 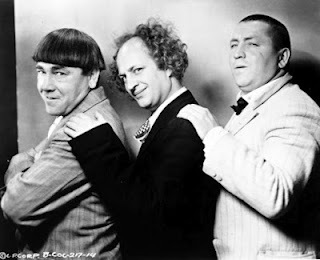 Here we've got Larry, Moe, and Curly. The other nails are inspired by the action signs that directors use. I promise you that white thing in my pinky is a reflection from my flash. Here we've got their name and the mask that comes on at the end of each movie (short? bit? episode? Insert whatever you wanna call them here). I really think the cartoon is cute, I love how Moe looks happy and friendly and not like he's gonna hit someone like he does in the live-action Stooges. Of course, I used the picture as inspiration and did my own kind of take on them. Messing around with the bag and strips, plus streaky top coat really could be fodder for a Three Stooges episode. There were a few times while doing this that I wanted to face palm and make a bunch of noises, nyuk nyuk nyuk. This is so cute! 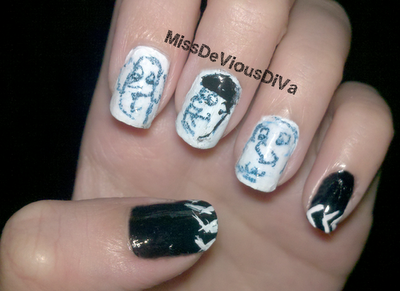 I would never be able to draw as good as this on my nails! Thanks! I couldn't draw this good on my nails either haha, I painted a strip of polish on a ziploc bag and drew on that!